“Time and Again”–Charming! Quaint! Clever! 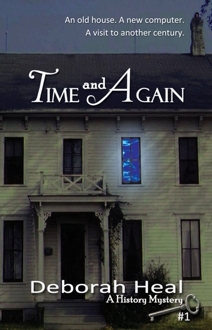 Time and Again is a good, wholesome, old-fashioned story with a modern twist. This charming tale touches upon many of the hard issues that kids have to face today—depression, bullying, weight issues, absentee parents, abandonment, self-esteem, and young love. It is written in such a way that these issues, which seem so momentous at first, gently blend into the background and simply melt away as the relationship between Abby and Meredith develops and they become fast friends.